Nitra is a city in western Slovakia, situated at the foot of Zobor Mountain in the valley of the river Nitra. With a population of about 79,472, it is the fifth-largest city in Slovakia. 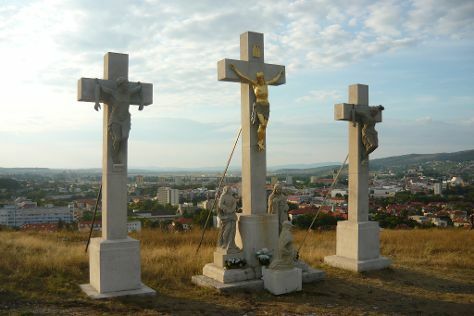 Nitra is also one of the oldest cities in Slovakia; it was the political center of the Principality of Nitra. Today, it is a seat of a kraj.EtymologyThe first mention of Nitra dates back to the 9th century. The name of the city is derived from the Nitra river. The name is Indo-European, but the question of its pre-Slavic or Slavic origin has not been satisfactorily answered yet. Nitra might be derived from the old Indo-European root neit-, nit- meaning "to cut" or "to burn" using a derivation element -r- (see also slash-and-burn agricultural technique). The same root is still present in the Slovak verb nietiť (to make a fire), but also in other Indo-European languages like Latin nitere (to burn) or in German schneiden (to cut). Another view to the origin of the name is related to the Latin Novi-iter or Neui-iter meaning "new territory behind the limes". The hypothetical Latin name could be adopted by the Quadi and later by the Slavs. Nitra is in Nitra Region. Plan your holiday in Nitra and other destinations, from the rural, to the urban, and everything in between, using our Slovakia trip itinerary builder site .